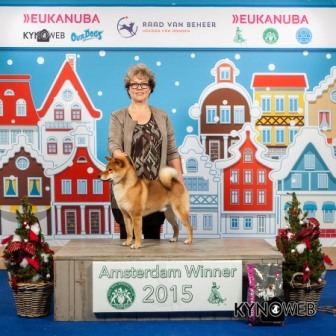 12th December Today was the WINNERSHOW in Amsterdam (NL). 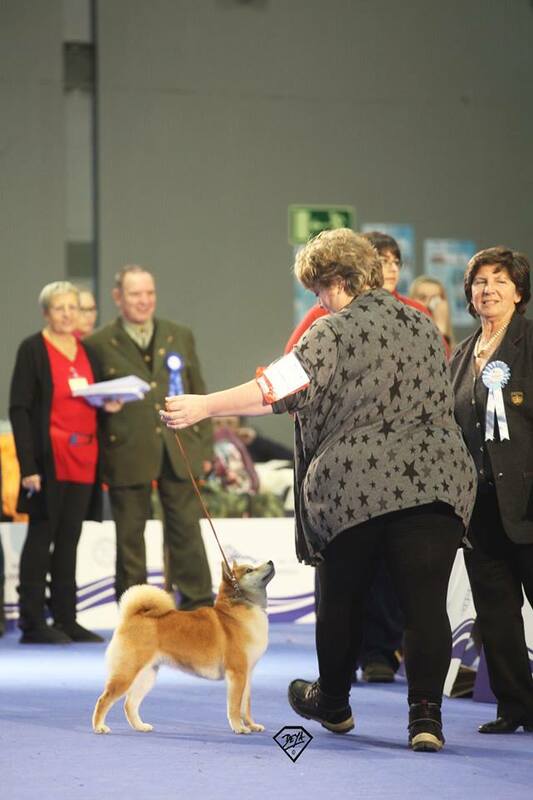 Judge for the Akita + Shiba was Mrs. T. Hensema (NL). 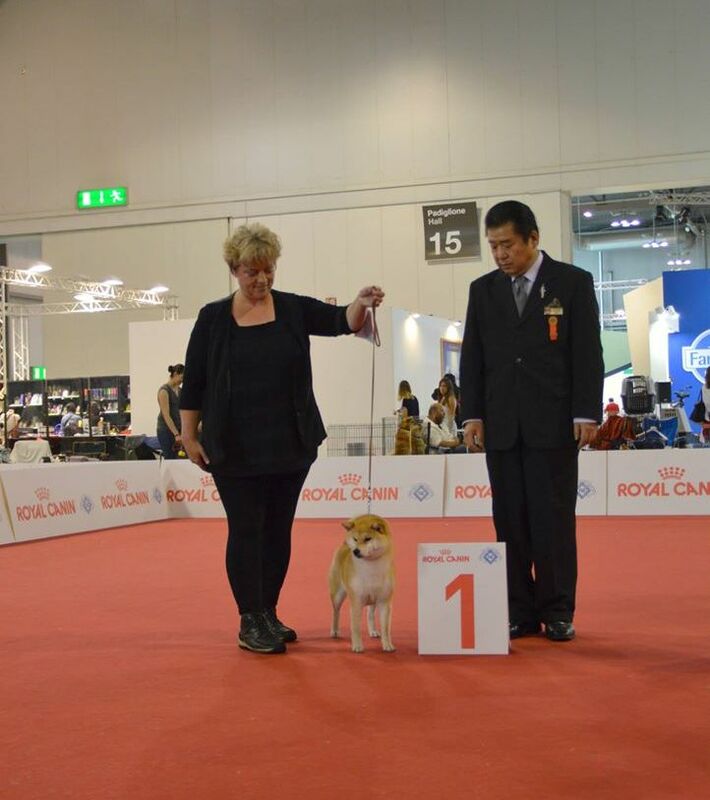 Very very happy to say our Haruka finished the year in style...she took 1st in juniorclass and got the title of JUNIOR WINSTER 2015...but also took best female + another title of WINSTER 2015 + BEST JUNIOR + BOS. 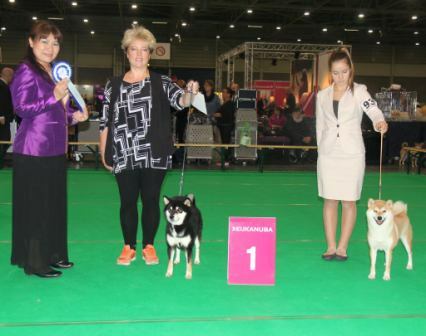 With the Shibas Genbu ( Mara-shimas Genbu Go) took the title of JUNIOR WINNER 2015 + BEST JUNIOR and our Hasha ( Mara-shimas Hasha Go) took CAC + CACIB + BOB and WINNER 2015. 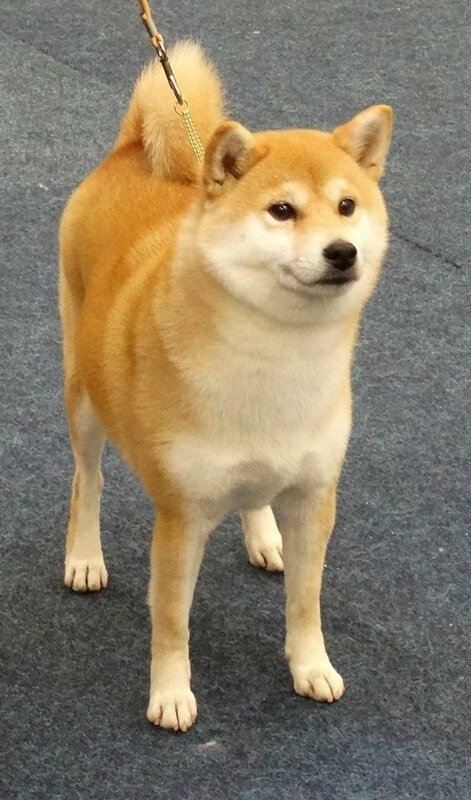 What a great way to end the year 2015. 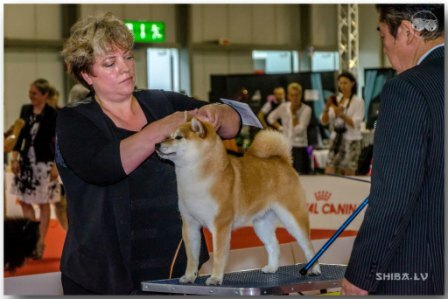 Thank you to all judges for thinking so highly of my dogs and we hope to do the same in 2016! 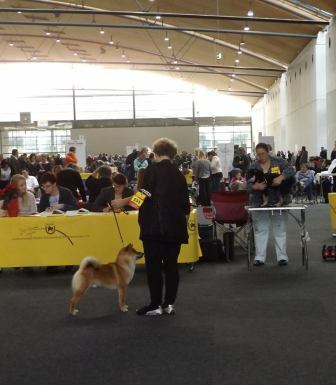 17th October On saturday was the famous BUNDESSIEGER SHOW in Dortmund (G). 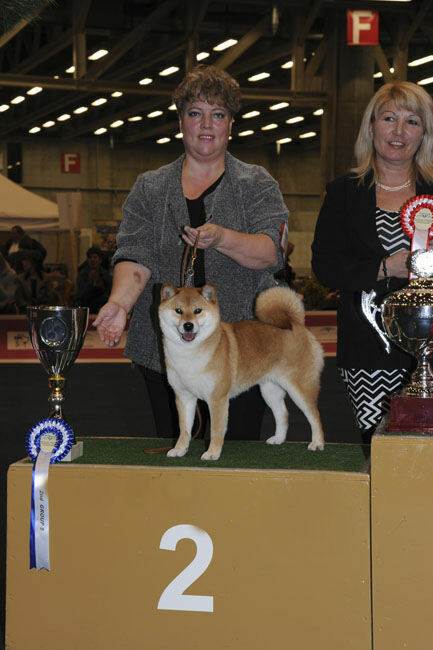 Judge was Mr. Garcia from Spain and our Kuroichi took VDH+CAC+CACIB+BOS. 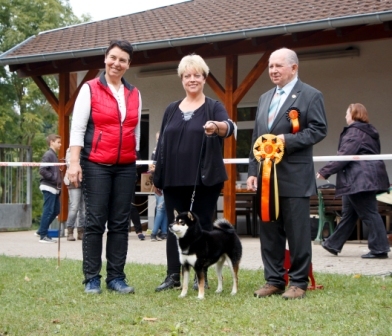 Our Kira took 2th in championclass and got full VDH point and hereby she finished her GERMAN CHAMPIONSHIP. 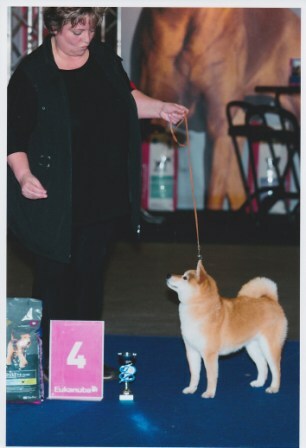 11th October The Championship specialty show held by the breedclub NVAI . 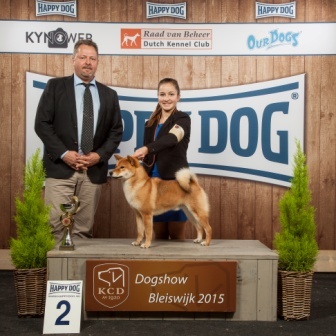 Judge was Mr. J. Schepers (NL). 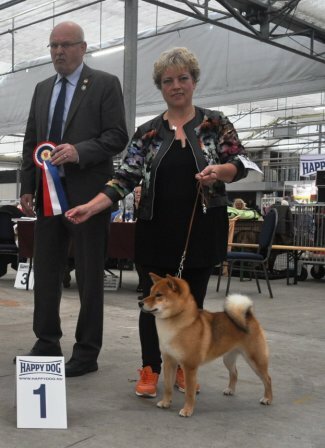 Our Kuroichi did great and took best male with double CAC and with these points he finished his DUTCH CHAMPIONSHIP and hereby Kuroichi is qualified for our topdog of the yearshow. 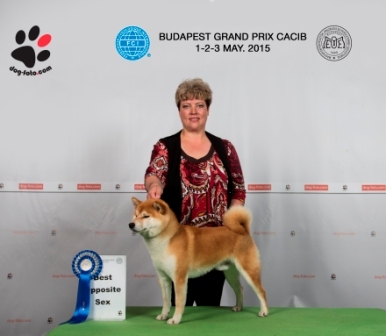 Our Keni took reserve male. 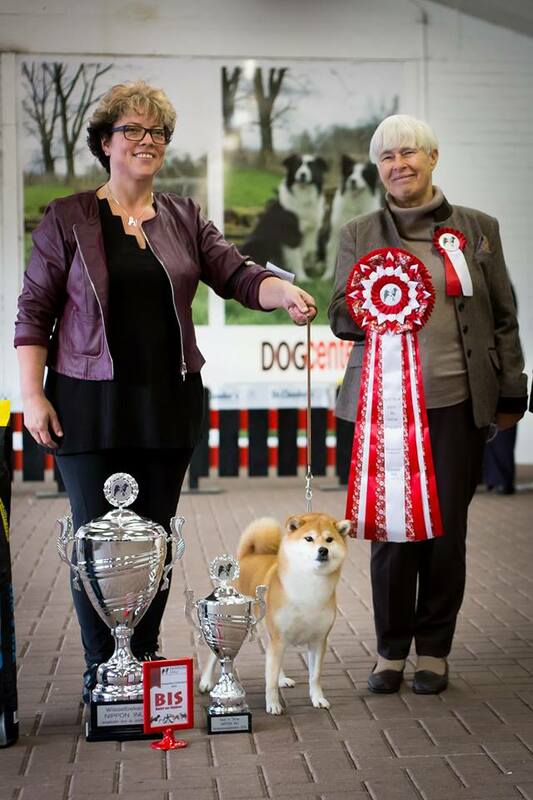 Our Aka took 1st in intermediateclass and our Molly took 1st in championclass and ended up BEST FEMALE. 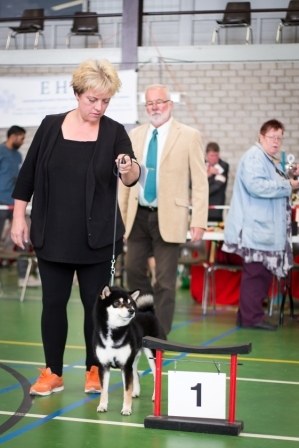 3/4th October Again a double international show in Zwolle (NL). 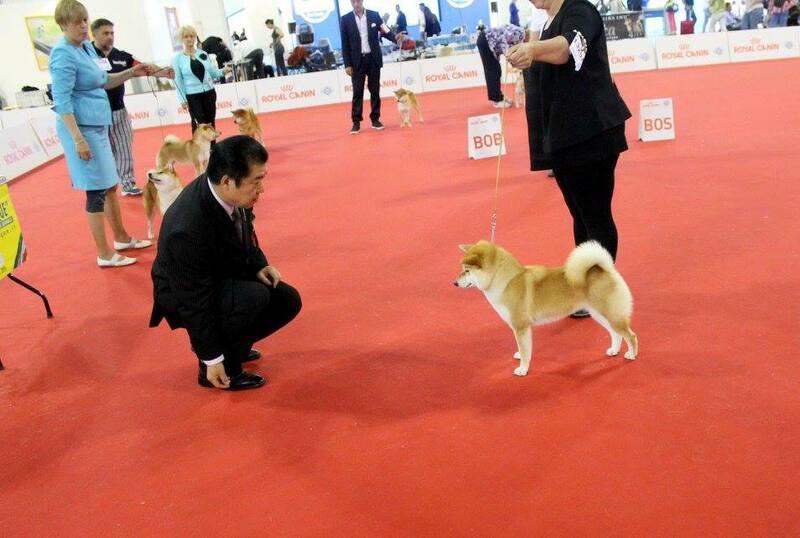 I was there with Keni & Kuroichi. 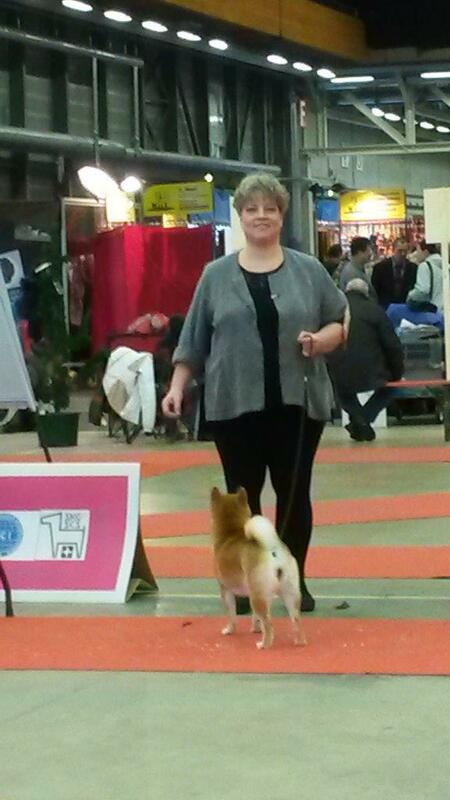 Judge was Mrs. Ahlman-Stockari from Finland. 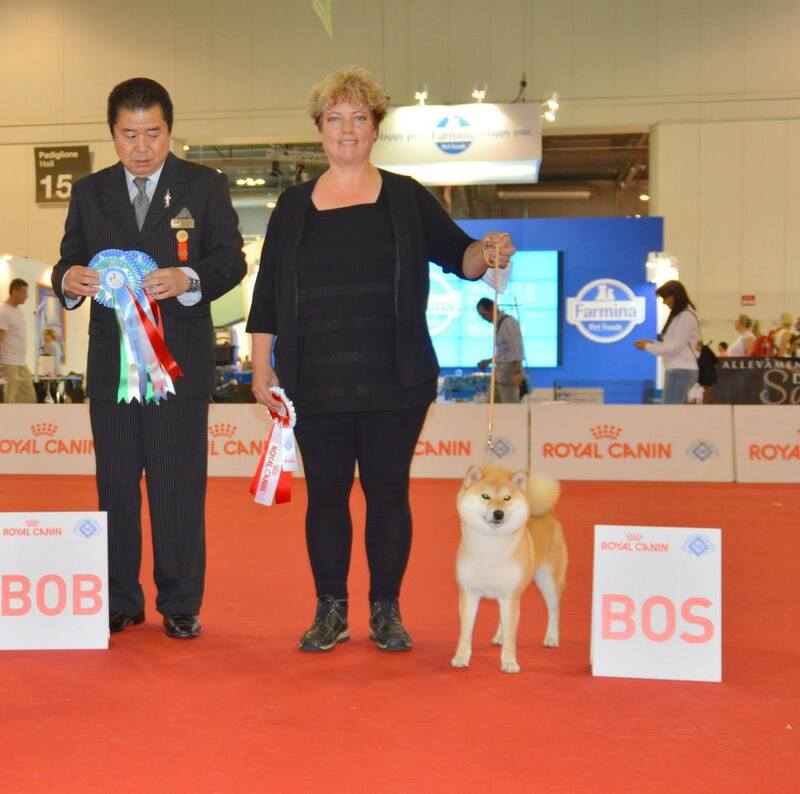 Our Keni took CAC + CACIB + BOB and our Kuroichi took reserve CACIB. 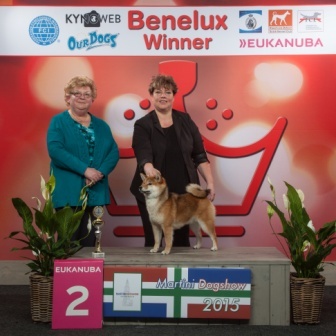 The group was judged by Mrs. E. Upmeijer (NL) and she gave Keni BIG. 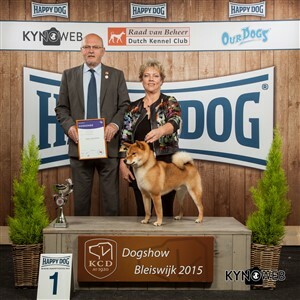 Mr. R. Doedijns (NL) did best in show and our Keni took 5BIS. 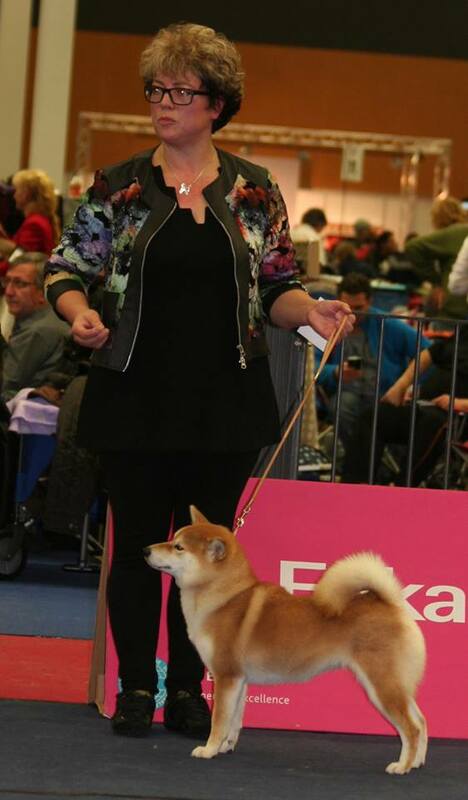 With this show Keni is qualified for our topdog of the yearshow.Over the moon with these results..:-) Next day judge was Mrs. P. Heikonen from Finland and our Kuroichi took reserve CAC and full CACIB. 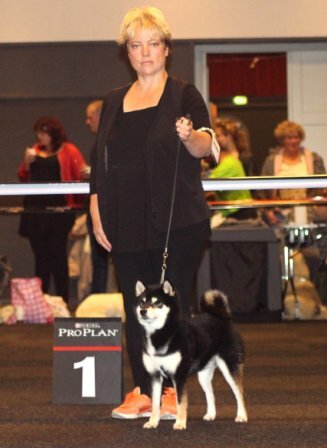 26/27th September We had a double international show in Maastricht (NL). 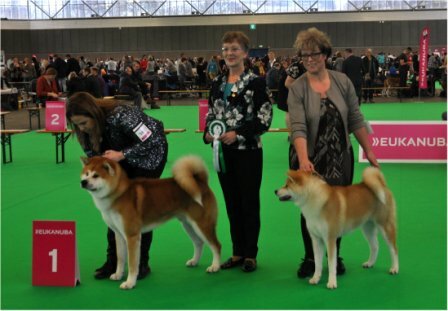 I had Kuroichi and Aka with me and our young Akita female "Haruka". 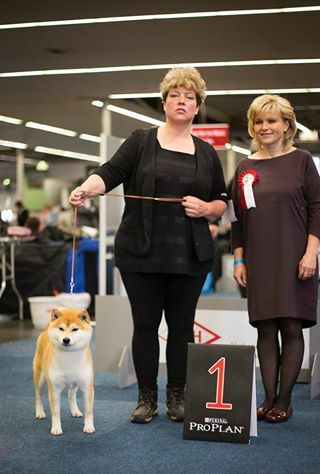 Judge was Mrs. 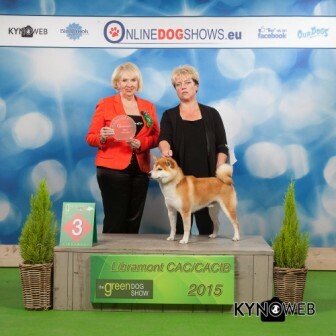 I. Narits (LT) and our Kuroichi took CAC + CACIB + BOB. 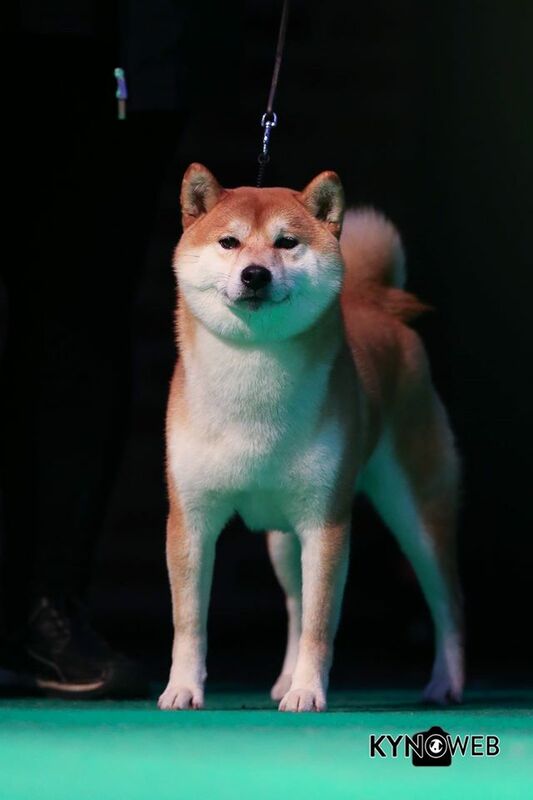 Our Aka took CAC + CACIB + BOS. 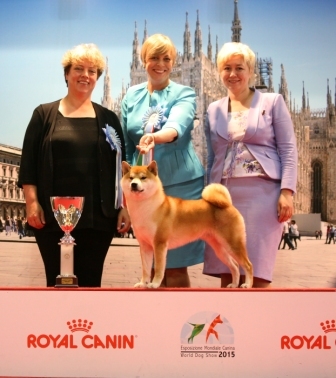 Our Haruka took best puppy in breed. 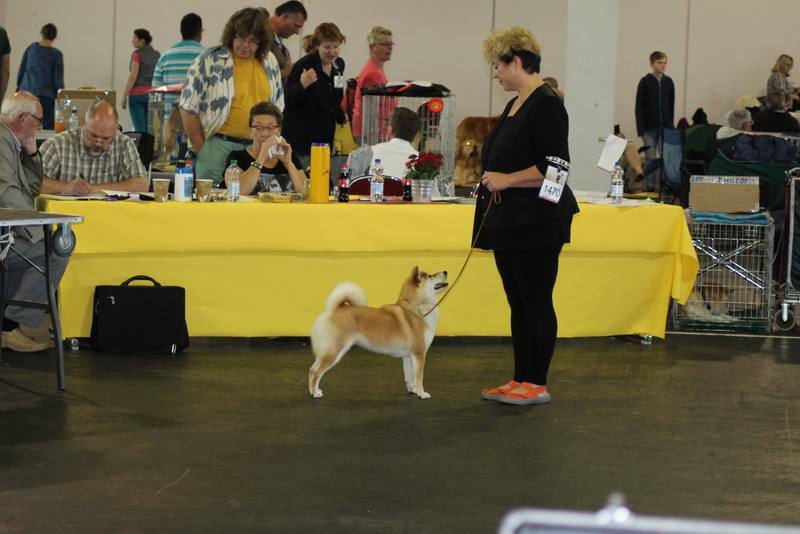 Next day judge was Mrs. Echima from Japan and our Kuroichi took CAC + CACIB + BOB and our Aka took CAC + CACIB + BOS and again our Haruka took best puppy in breed. 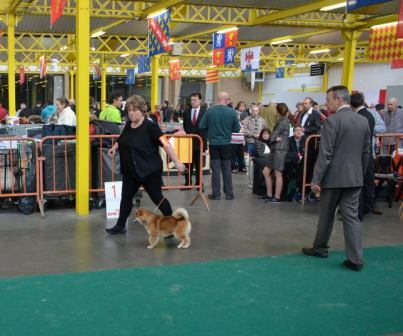 12th September Today I went to the "GREEN SHOW" in Libramont (B). 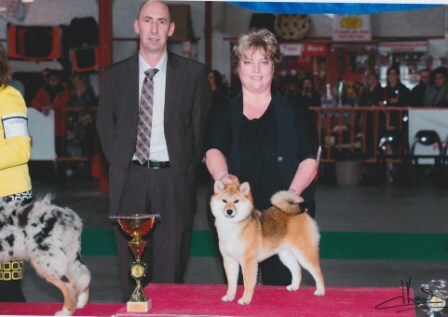 I was there with Keni and Molly and judge was Mrs. V. Kluniece (LV). 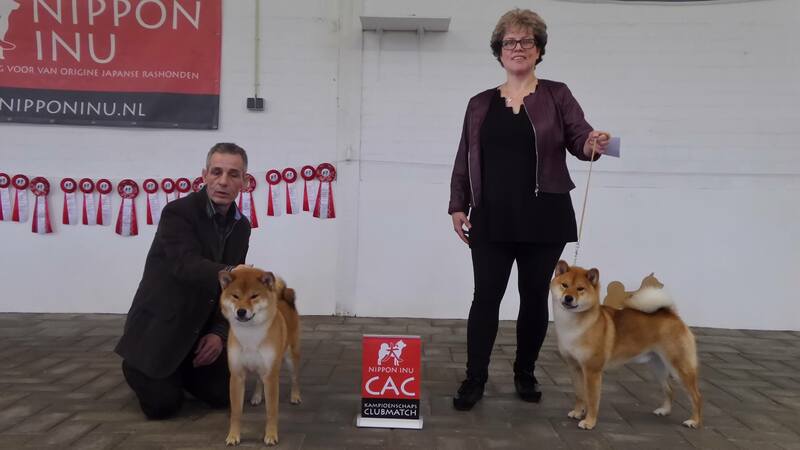 Our Keni took CAC + CACIB and BOB and finished his BELGIUM CHAMPIONSHIP . 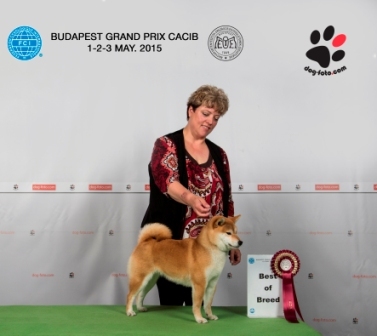 Our Molly looked perfect and took CAC + CACIB + BOS. In the group our Keni took 3BIG . 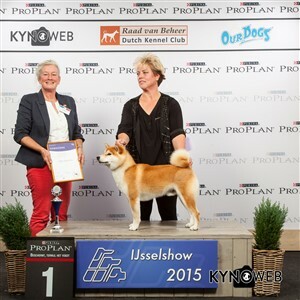 6-7th June After Oss I drove to Austria for double show in KLagenfurt. 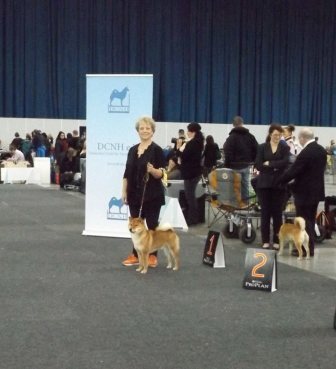 Judge for first day was Mr. E. Drufi (SM) and our Keni took CACA in open klass + reserve CACIB. 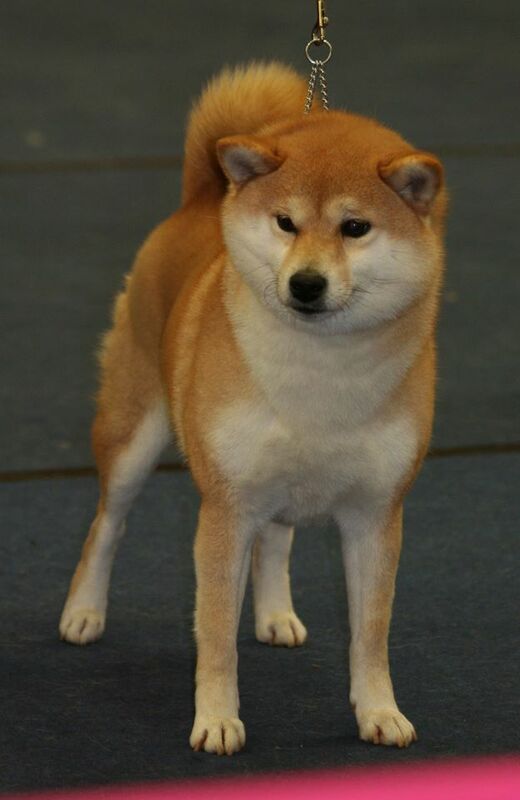 Our Diva took CACA in open class and our Kira took CACA in championclass + reserve CACIB. 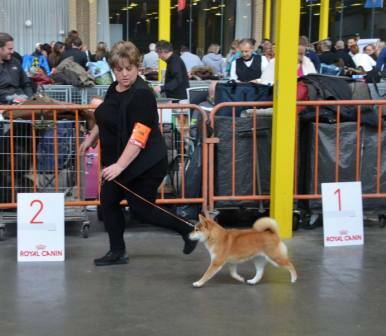 Next day judge was J. Matice (HR) and our Keni took CACA + CACIB + BOS. 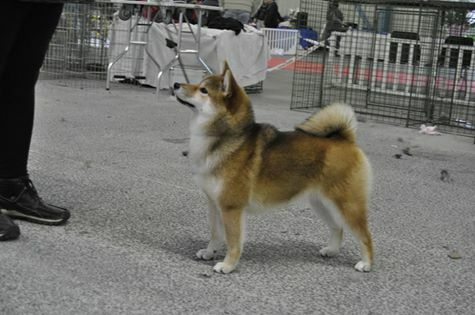 Our Diva took in open class CACA + reserve CACIB and our Kira took CACA in championclass. 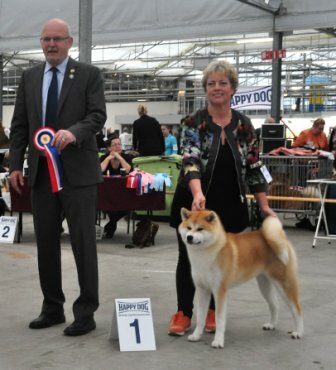 5th June Today was the 2 yearly international dogshow in Oss (NL). 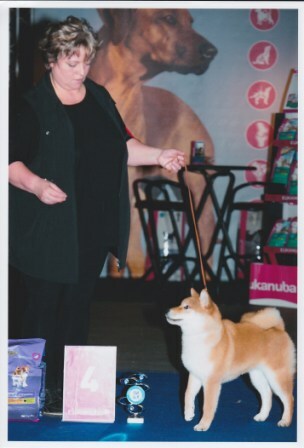 I was there with Kura and Diva. 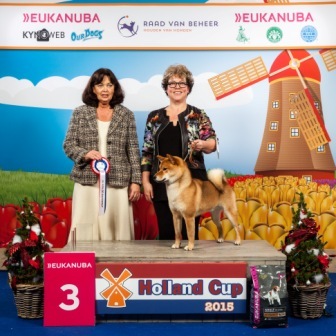 Judge was Mrs. Anita Gielissen (NL). 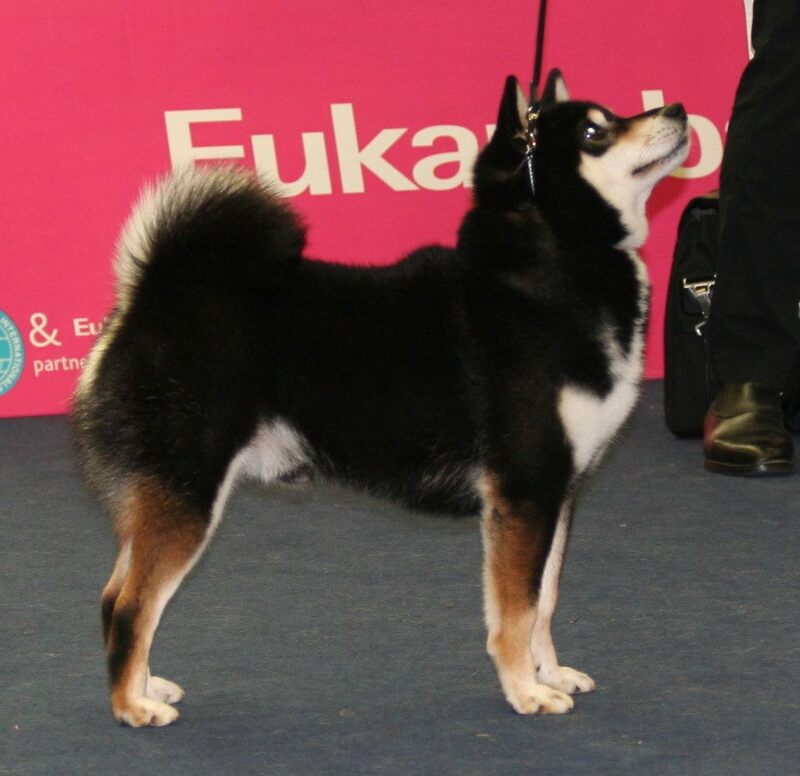 Our Kura took 1st in juniorclass and took reserve CAC as well. 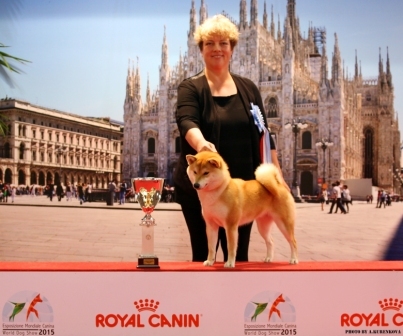 Our Diva did it again by taking CAC + CACIB + BOB. 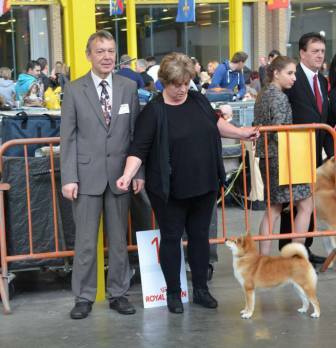 1-2-3 May I left with Keni, Kira and Diva to the GRAND PRIX 3x CACIB DOGSHOW in Budapest (H). 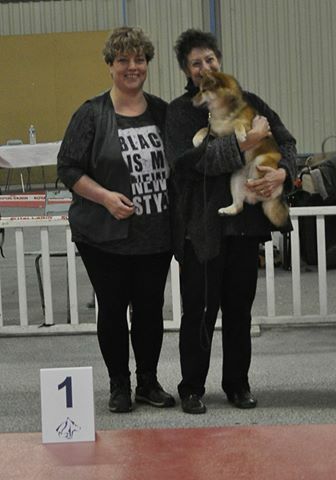 On the first day judge was Mrs. B. Scheel (DK) and our Keni took CAC + CACIB + BOS, our Kira took CAC + reserve CACIB and our Diva took CAC + CACIB + BOB. 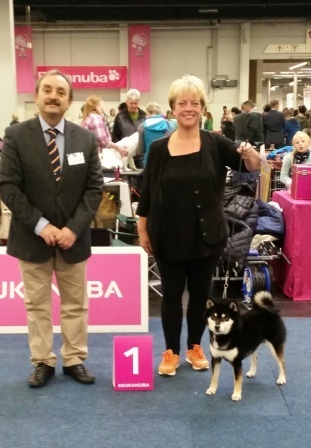 On second day was judge Mrs. A. Tarjan (H) and again Keni took CAC + CACIB + BOS, Kira took CAC + reserve CACIB and our Diva took CAC + CACIB + BOB. 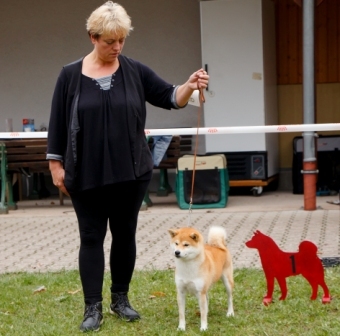 The last day judge was Mrs. Z. Vaczi-Balogh (H) with the same results again. 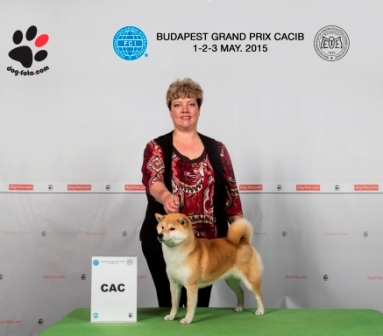 Keni took CAC + CACIB + BOS, Kira took CAC + reserve CACIB and our Diva took CAC + CACIB + BOB. 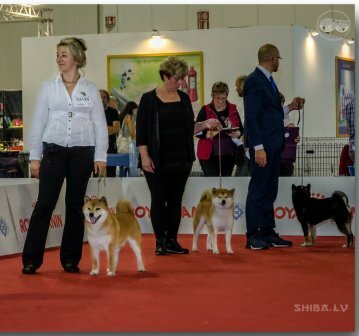 With these shows Keni, Kira and Diva became HUNGARIAN CHAMPION. 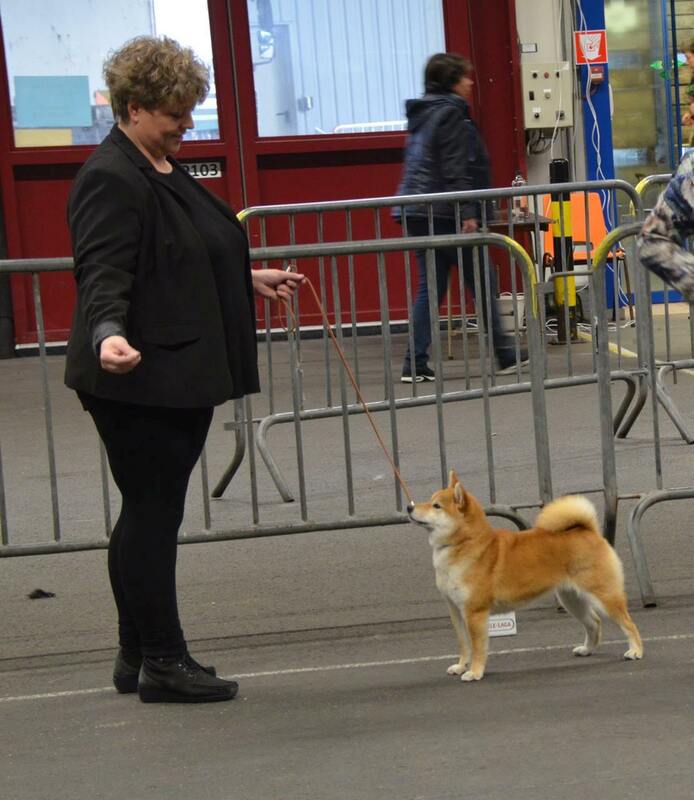 29th March International show in Luxembourg and I was there with Keni ( Kensei No Fukuaoi Go Sapporo Kagasou), Kira ( Choufume Go Shirakayasou), Riko ( Copperdots Beikoku Riko) and Diva ( Beni Kurara Go Saitama Katou). Judge was Mr. B. Milosevic (Serbie). 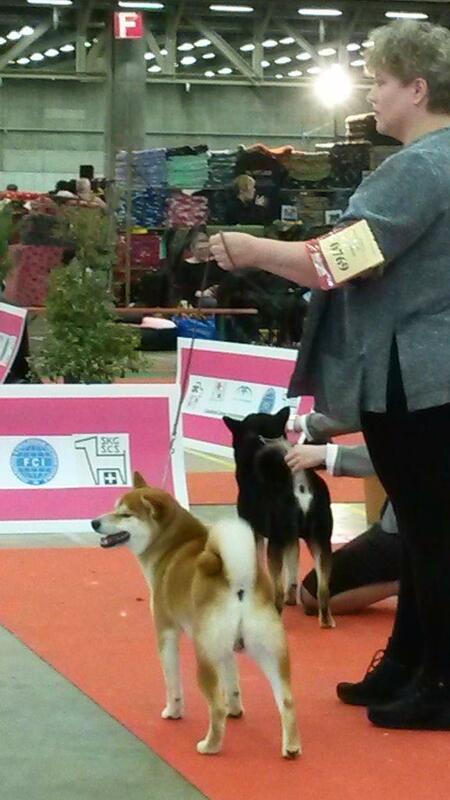 Our Keni took 3trd in CC, our Riko took 2nd in CC and finished her LUXEMBOURGS CHAMPIONSHIP. 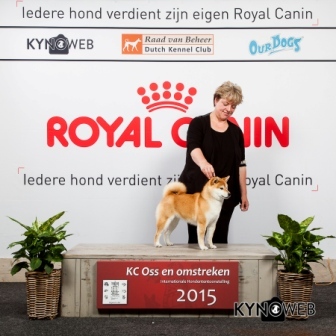 Our Kira got exc in open class, but our Diva did it again taking 1st in open class and best female with CACL + CACIB + BOB!! 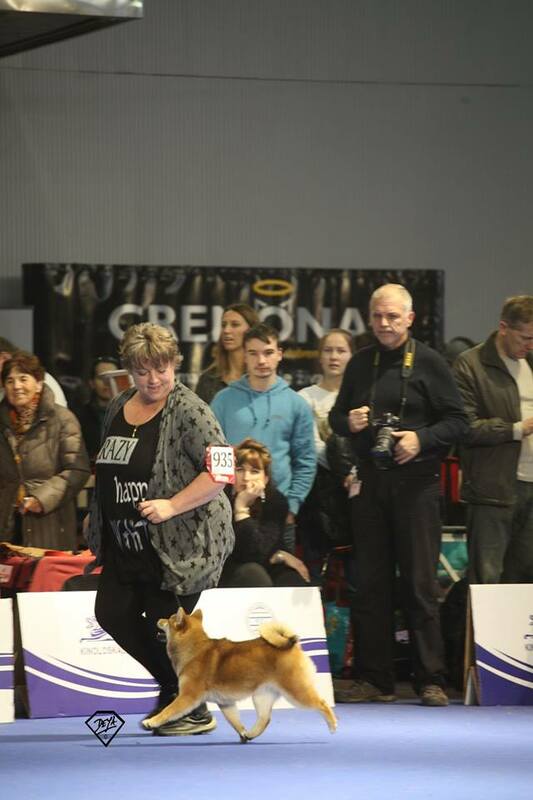 28th February The Benelux winnershow was held this year in Groningen (NL). 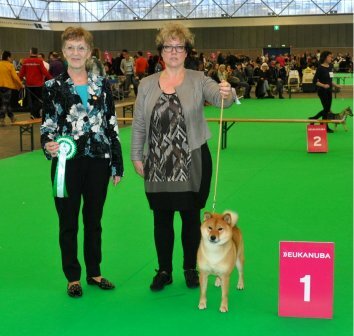 Judge was Mrs. A. Whitemarsh from Sweden. 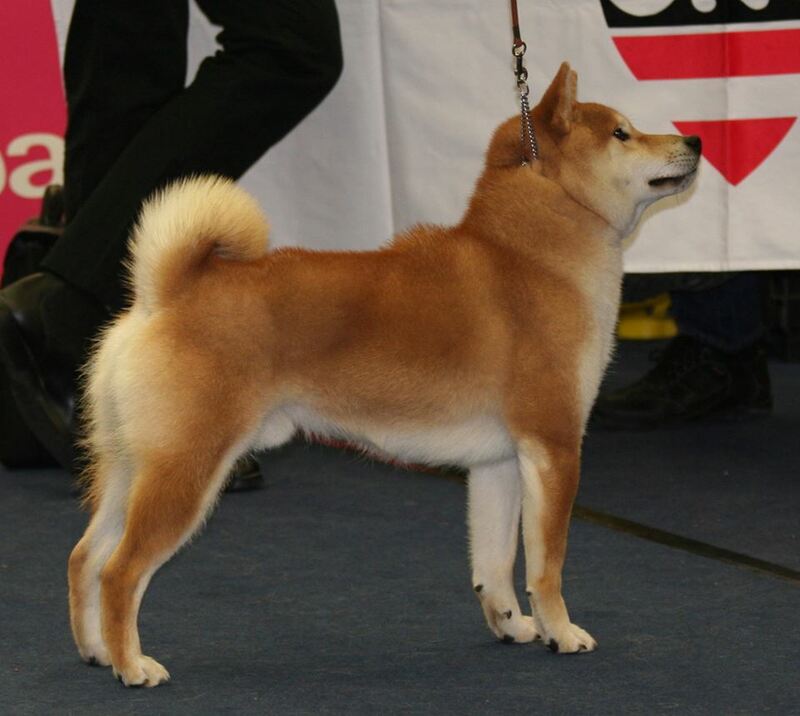 Our youngster Bono ( Akafukuryu Go Saitama Katou) became 2nd in juniorclass, our Keni ( Kensei No Fukuaoi Go Sapporo Kagasou) became 3rd in championclass. 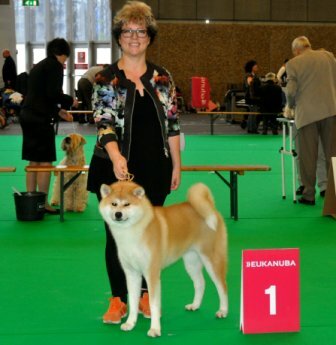 Our Aka ( Mara-shimas Akiakane Go) became 1st in juniorclass and got the title Benelux Junior Winster 2015, Aka also got the reserve CAC. 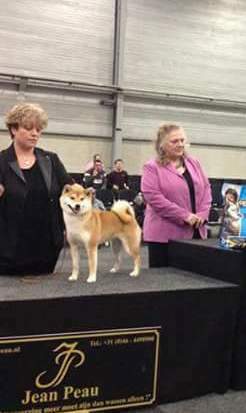 Our Diva ( Beni Kurara Go Saitama Katou) took 1st in open class and our Riko ( Copperdots Beikoku Riko) took 3rd in championclass. 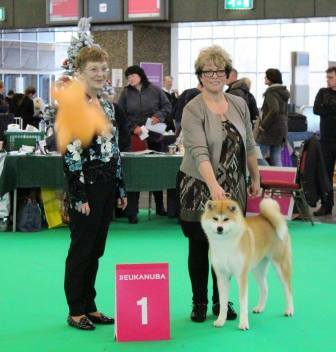 Our Kura ( Mara-shimas Hazakura) took best puppy in breed and ended up 2th BEST PUPPY IN SHOW! 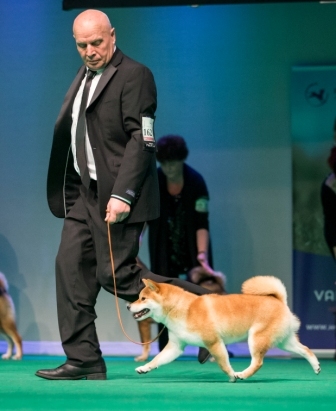 7th February International show in Eindhoven (NL). 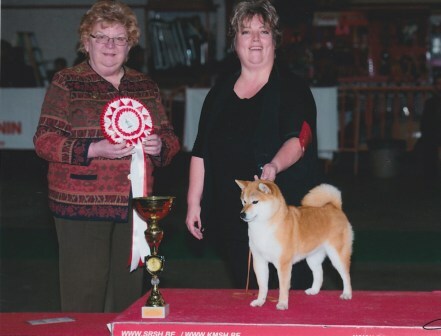 Judge was Mrs. R. Wagner (L) . 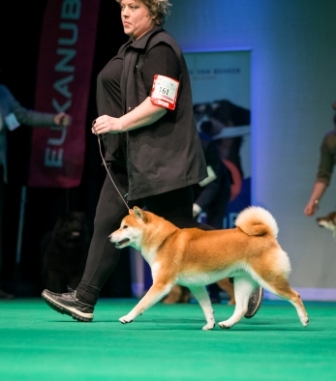 Our Aka ( Mara-shimas Akiakane Go) took 2th in juniorclass and our Diva ( Beni Kurara Go Saitama Katou) took reserve CAC + CACIB. 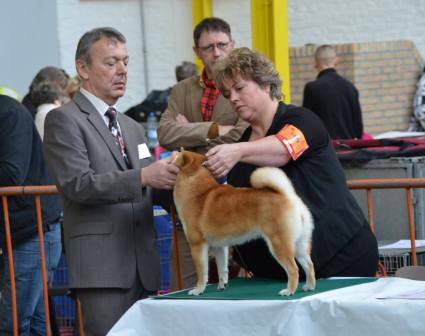 11th January Next day was our dog of the yearshow held at THE FLINT in Amersfoort (NL). 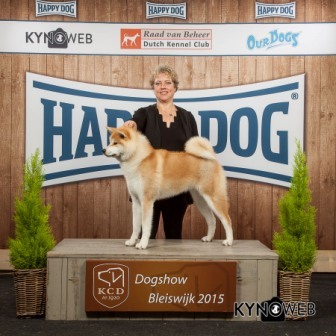 Judge was Mrs. C. Saes (NL) and our Keni ( Kensei No Fukuaoi Go Sapporo Kagasou) and Riko ( Copperdots Beikoku Riko) were both qualified for this special show and Keni was selected by the first 5 in the group. 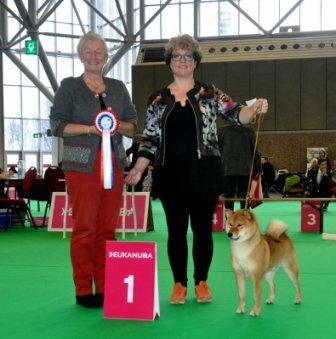 10th January First show of the year was the national show held in Genk ( Belgium). 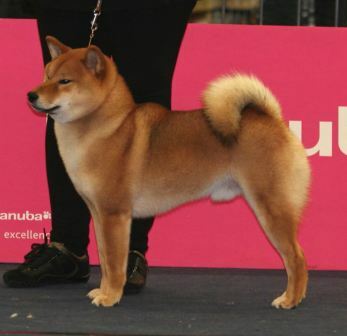 I was there with Enrai ( Mara-shimas Enrai), Keni ( Kensei No Fukuaoi Go Sapporo Kagasou) and Diva ( Beni Kurara Go Saitama Katou) Enrai is a son of our Diva. 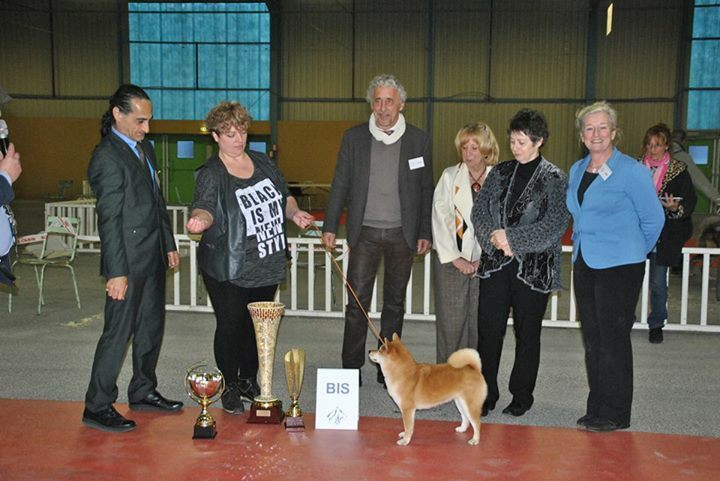 Judge was Mrs. L. Stojkovic from France. 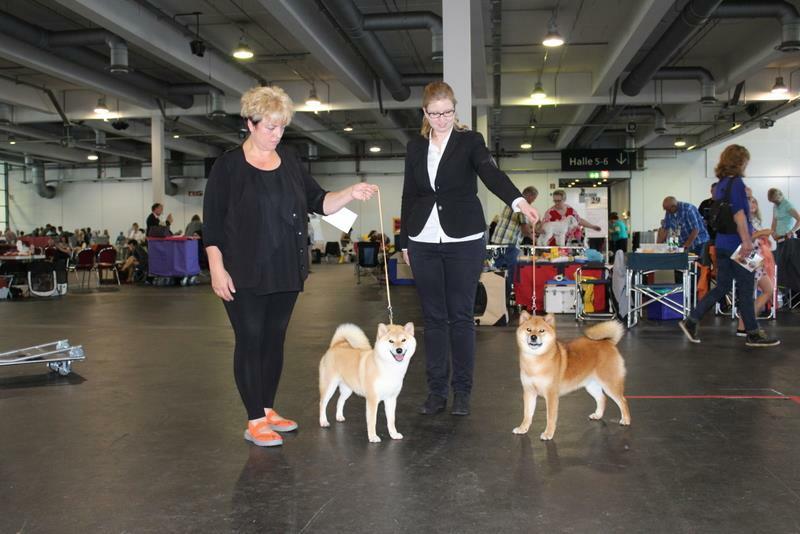 Our Keni took CAC, our Enrai took best baby in breed and on top of that took our Diva CAC + BOB. 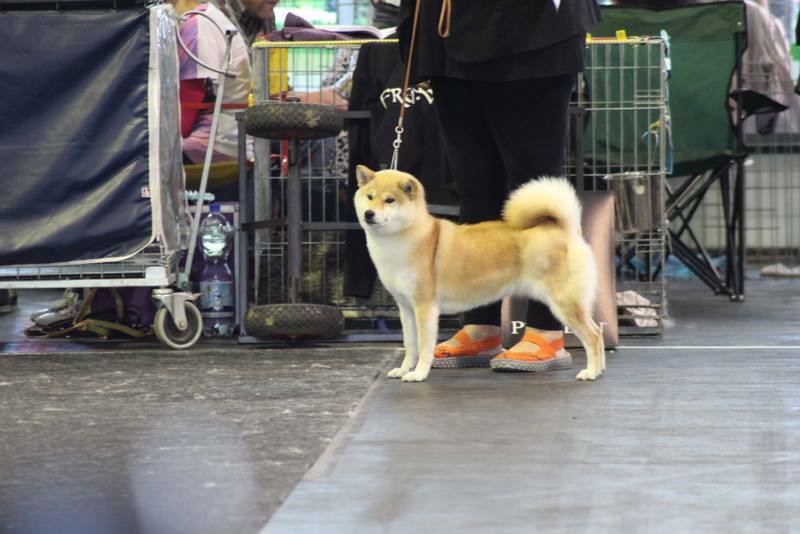 In the groups our Enrai took 4th BBIS and our Diva took 4th BIG. 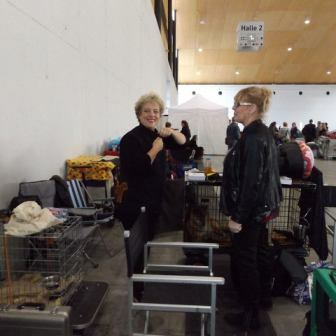 A great start and we are looking forward to our youngsters this year.